So it is really simple. 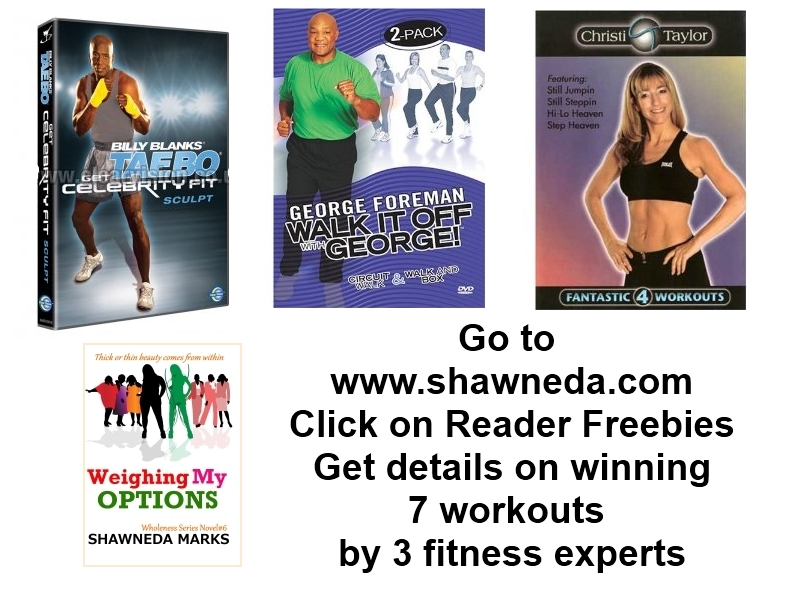 Sign up for my quarterly newsletter if you haven't already between the September release date and December 15th (before I go on Winter Sabbatical) and you could win these three workout DVDs. 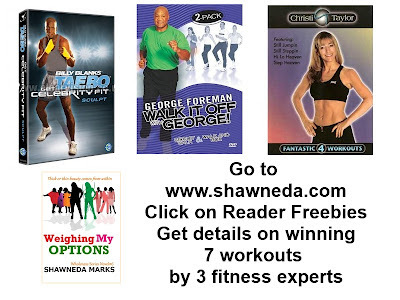 George Foreman is a 2-Pack and Christi Taylor has 4 workouts add Billy and you have a week or 2 worth of workouts. 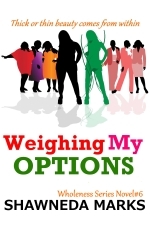 If you are already signed up for the newsletter purchase a copy of WEIGHING MY OPTIONS between when it releases and December 15th, post a review on the retail site (Sony, Kobobooks.com, Smashwords, Amazon.com, BN.com) where you purchased it and email me a link (shawneda(at)live(dot)com) to the review and you could win the workouts. Post to the reader sites below for additional entries. It is that simple.